Renowned chef, restaurateur, New York Times bestselling author and television personality, Curtis Stone is bringing his fresh, flavorful cuisine to the Princess Cruises fleet. 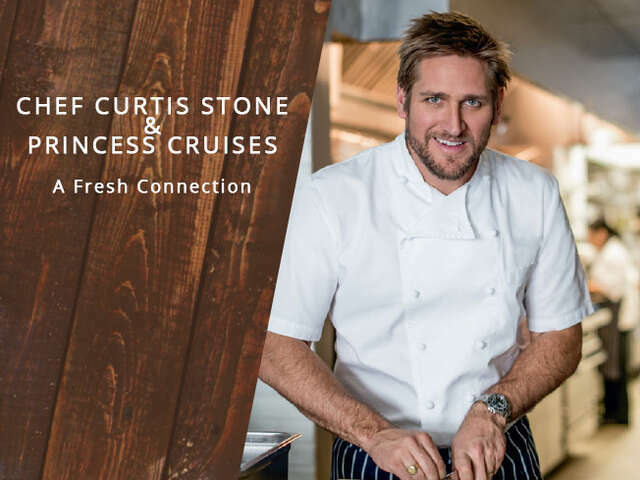 Renowned chef, restaurateur, New York Times bestselling author and television personality, Curtis Stone is bringing his fresh, flavorful cuisine to the Princess Cruises fleet. Beginning this Fall, you will have the opportunity to enjoy culinary creations designed exclusively for Princess by Chef Stone in three delicious new ways! Guests sailing onboard any of Princess Cruises' 18 ships will have the opportunity to savor fresh new cuisine designed by Chef Stone every day in the Main Dining Room. Personal reflections by Chef Stone will also accent each “Crafted” selection. Debuting in October 2015. 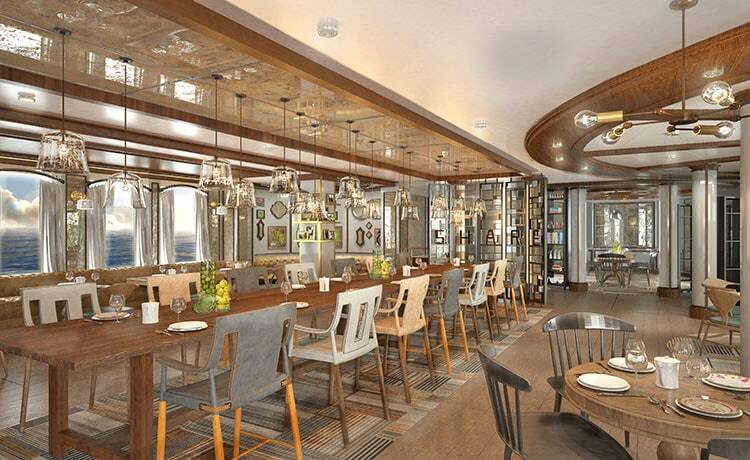 Select Princess ships will host this elegant restaurant dedicated to a dining experience that encourages connecting with others. Chef Stone's exquisite menu offers various courses including gourmet salads, handmade pastas, premium quality meat and seafood fresh off the grill, an array of decadent desserts and more! With dishes designed for sharing, guests have an opportunity to relax, recharge, and reconnect after a full day of cruising. ^Available on select ships only, Chef Stone's specialty restaurant will debut in December 2015 aboard Emerald Princess, sailing from Ft. Lauderdale to the Caribbean, and Ruby Princess, sailing from Los Angeles to Hawaii and Mexico. This unique and intimate experience, designed by Chef Stone, will include an enriching galley tour featuring Champagne and hors d’oeuvres. Guests will then be lead through the dining room to a special multi-course meal prepared by the Executive Chef onboard. *Chef's Table by Curtis Stone will be introduced on select ships beginning in January of 2016.